The old woman who lives next door is mad. who live beyond her backyard gait. that grows on her trees. and slowly stealing her reason. “Get out!” Get out!” as if they cared. melons so rodents would starve. and put up a fight. Her garden’s gone still and quiet. with a smirk on her face, spitting pits. You know how I feel about squirrels. Great read! 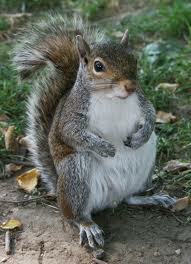 I actually don’t know how you feel about squirrels because you are anonymous! Haha! Thanks for your kind words!